Half the year has come and gone. I woke up this morning and starred July in the face with groggy eyes and disbelief. My caffeinated journey through the streets of Manhattan is at its midpoint. Half the time I feel like I just started this blog and the other half I it seems like I’ve been doing this thing all my life. The month of June has been one of my favorite months in NYC, and it was also one of the most productive. The two most noteworthy occurrences: the creation of CitiBike and NYC Gay Pride. CitiBike officially rolled out in the beginning of June. For those of you that aren’t familiar, it is a commuter bike service that now exists in Manhattan from 59th street down. There are tons and tons of locations and it allows you access to a bike for a certain period of time (30 or 45 minutes) so you can travel from one spot in the city to another. It’s perfect for getting across town. I tested the service with a week pass and then caved and bought a year’s membership. Although it has it’s kinks (broken stations, empty stations, and overall poor computer technology), I love the fact that I can get around the city swiftly without having to go underground. Plus I get a little bit more fitness in my day. June — if you didn’t know — is Pride Month. And the last weekend of the month, NYC celebrates with a huge parade that puts all others to shame. This year’s was exceptionally special because not only was it my first time seeing it, but it also took place the same week that the Supreme Court struck down DOMA and found Prop 8 in California to be unconstitutional. The parade was roughly 5 hours of high energy, pride-filled joy. My boyfriend and I gathered at a friend’s party on the corner of Christopher and Gay streets and watched out the windows the entire time as the parade passed by. I couldn’t have asked for a better view. Later that evening a bunch of us went to a pier dance party where Whoopi Goldberg introduced Cher, and she sang her new single. All in all, it was the most proud I’ve felt in years. June was also a big month for this blog. 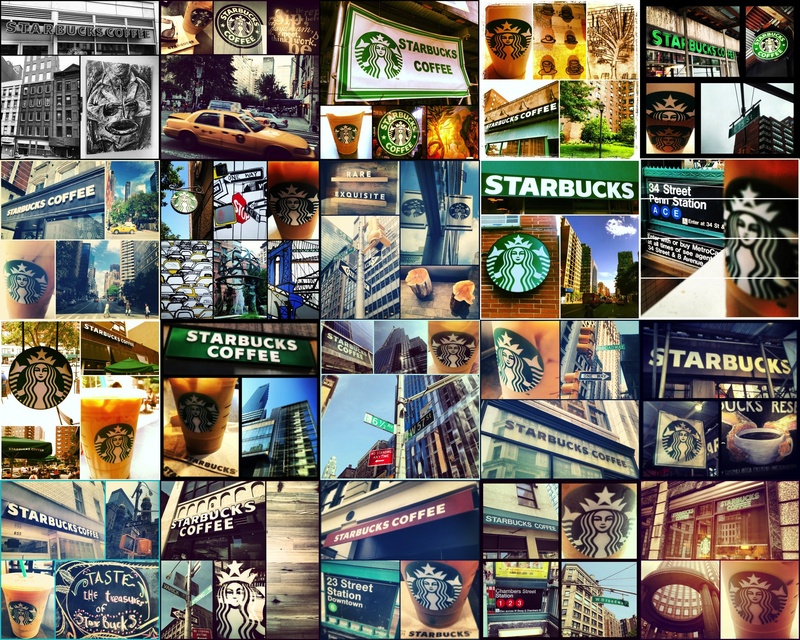 I was able to visit 20 different NYC Starbucks locations. That’s the most I’ve ever gotten to in 1 month! While I did visit 3 different Starbucks that earned a rating of 1-Cup, I also found another 5-Cup location at the corner of 58th & Madison. I also decided to get the blog its own Facebook page. So if you’re reading this you should totally check it out and ‘like’ it. Check out the gallery of the 20 Starbucks locations I rated in June and stay tuned for the July Starbucks to start rolling in.